When it comes to purchasing carpet floors you want to know as many facts as possible up front. You may have some questions, and if so, we have the answers you’re looking for in response. We can tell you all about the gorgeous color selections that are available, as well as designs, styles, and various patterns. Or you can learn about all the amazing benefits this flooring will bring to your home. It’s quite possible this could be the floor covering you’ve been dreaming of all along. Cape Fear Flooring & Restoration is locally owned with a showroom in Fayetteville, NC. From there, we serve the areas of Fayetteville, Fort Bragg, Lumberton, Eastover, and Hope Mills. With a large selection of flooring materials and services, we are dedicated to making sure you find just what you’re looking for, no matter what your needs. From new homes to remodels, and everything in between, we will be your one-stop flooring shop. 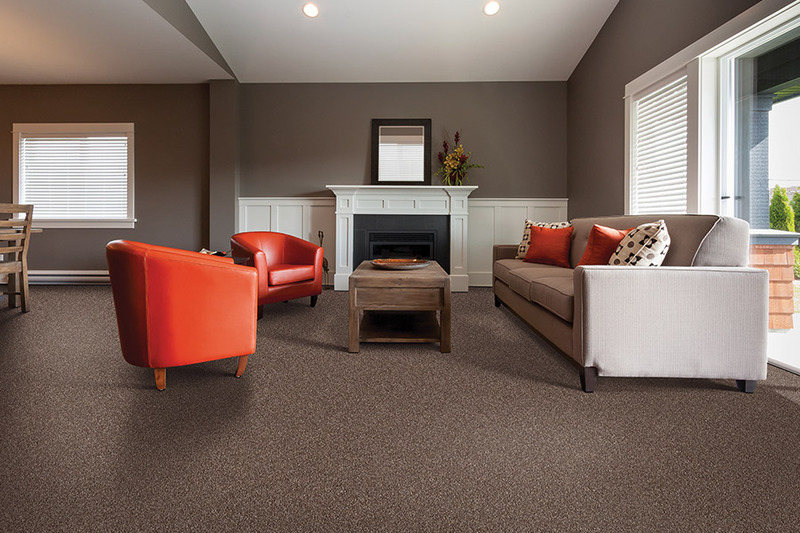 The first thing homeowners think about when carpeting comes to mind is the luxurious and inviting warmth it offers. There’s nothing quite like stepping onto this flooring in your bare feet, even in the winter. It has the ability to retain heat, which not only keeps your house warmer when it’s chilly outside, but it also means your heater won’t run nearly as often, or as long, as usual. The result is a warmer home and more money in your pocket at the end of the cold months. 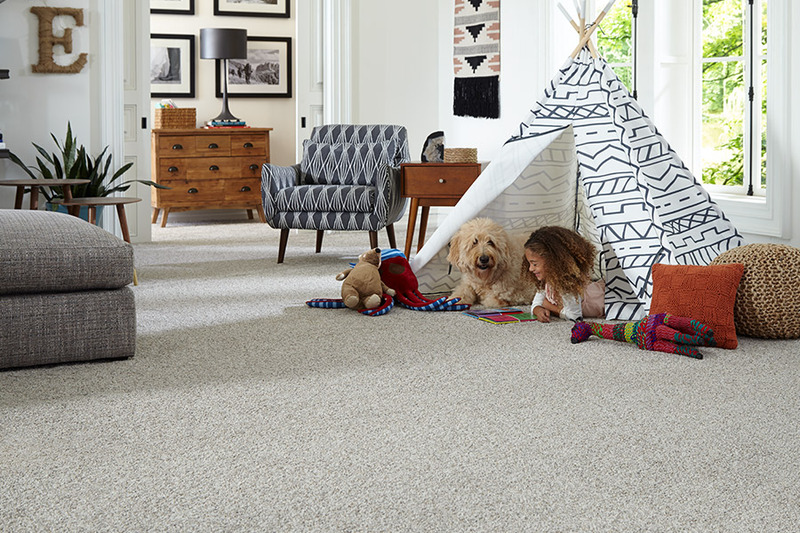 Stain protection, in many brands, is built right into the fibers of the carpet. This benefit can go a long way in keeping your floors looking newer longer, and even offering a longer overall lifespan. The stain resistance keeps stains from becoming set in and makes your floors much easier to clean. You’ll be left with the brilliant, bright colors you started with, instead of dingy flooring you try to cover up because it won’t come clean. 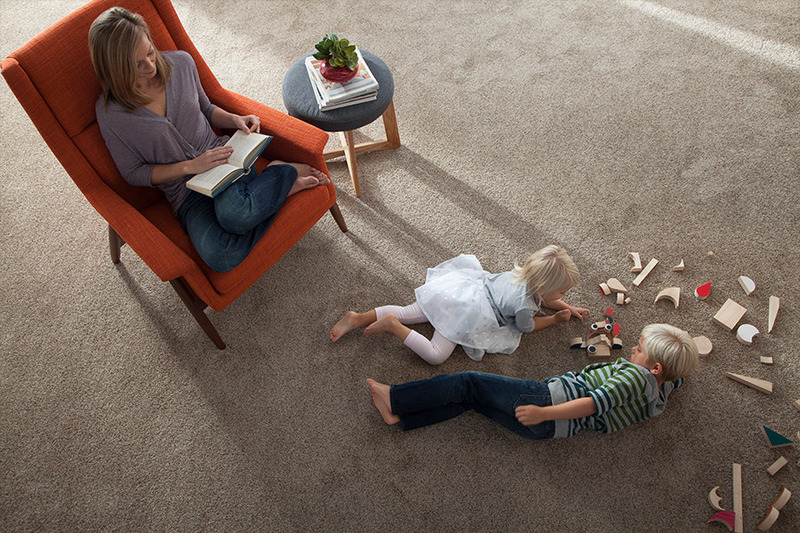 Even allergy sufferers can enjoy carpet more than ever, thanks to hypoallergenic fibers. These floors trap allergens, keeping them from floating through the air to make your allergies flare up. Is your budget stretched? Are you looking to buy attractive, but inexpensive carpet, in Fayetteville? Buying more affordable carpet doesn’t mean it has to look cheap. You can find luxurious flooring options that don’t break the bank. We offer the highest quality carpet, at a price that works for your wallet. 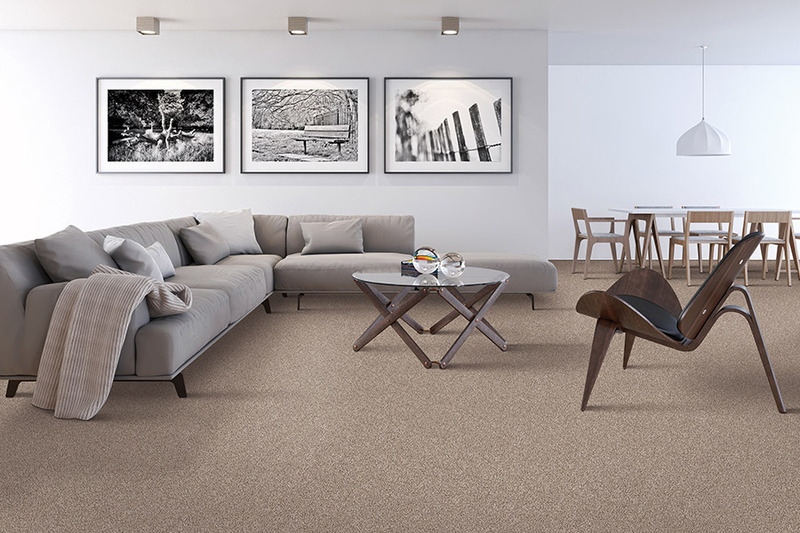 We can help you find a sturdy and comfortable carpet to complete your home. We work with the best brands in the industry. We can provide a variety of weights and options. That way you can find the carpet that’s best for you. 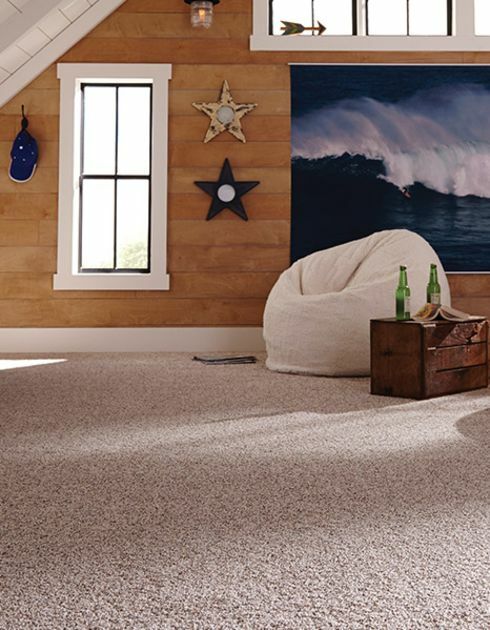 Ask about our available carpets from Mohawk and Shaw in styles like berber, frieze, and more. 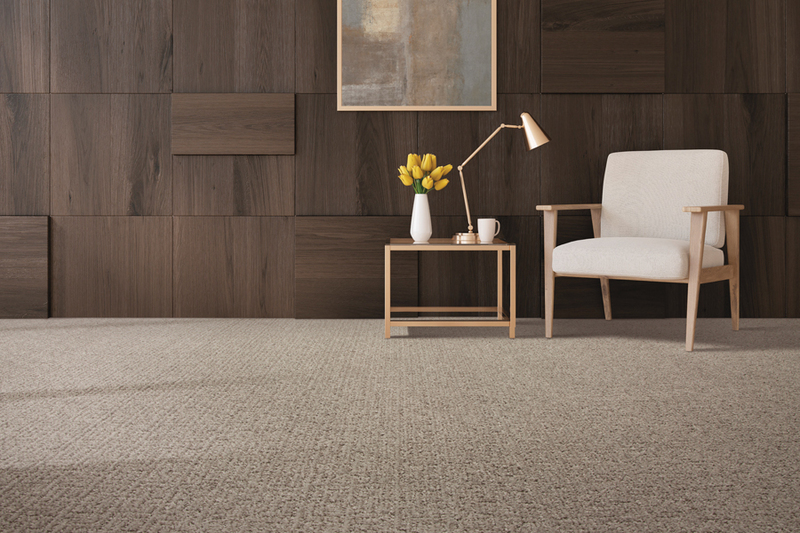 We’ll find you the right carpet to meet your budget and style. Cape Fear Flooring & Restoration is a licensed North Carolina contractor. We have the skills and know-how to complete a variety of services. We’ve helped home and business owners get the results they want for more than a decade. We provide you with the expert knowledge you need for your home improvements. At Cape Fear Flooring & Restoration we guarantee great results from trained, licensed experts. Few things are as frustrating as carpet replacement. Sometimes it can’t be helped. You might have done the right things after flooding or water damage. But you can’t always avoid carpet mold. We don’t mind if it’s mold, water, or fire damage. At Cape Fear Flooring & Restoration we’re licensed contractors who can replace your ruined carpet. 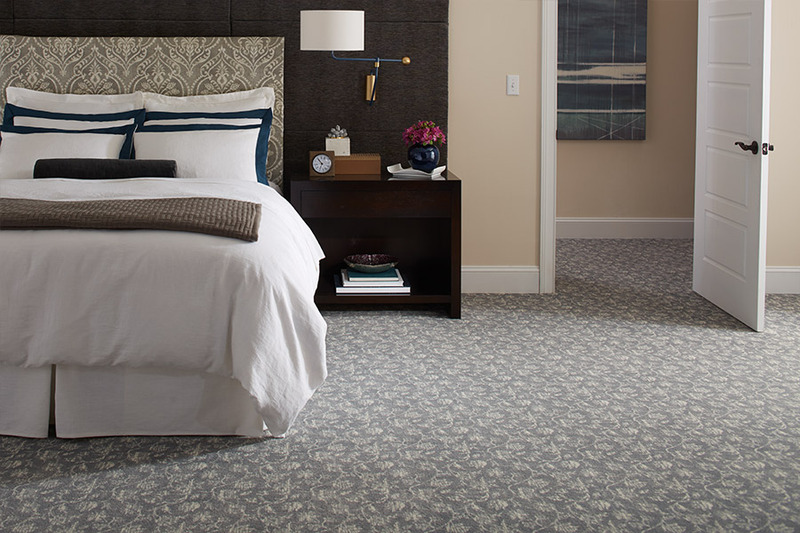 We can quickly and affordably provide fresh carpet, and peace of mind. Don’t worry about what to do with your carpet. Call the pros at Cape Fear Flooring & Restoration today. We’re proud to offer next day installation on in-stock items. And it’s not only for Fayetteville. We’re happy to extend the same service to surrounding areas. We know how you feel when you find that perfect carpet. No one wants to wait weeks for delivery and installation. This is especially true if you’re replacing it because of water, mold, or fire damage. Cape Fear Flooring & Restoration’s mission is to provide quick turnaround times. We don’t think you should have to wait longer than you need. Don’t spend time waiting for expensive carpet. Find affordable flooring solutions at Cape Fear Flooring & Restoration. We can install and replace your carpet at a price that works for you. Call the friendly professionals at Cape Fear Flooring & Restoration today.